You may not think much about survival skills in your everyday life, but they may be more important than you think. This is especially true if you live in an area prone to natural disasters like hurricanes, wildfires, or earthquakes. Having some survival skills can make the difference between life and death, especially for children. So how should you teach your child to be safe in an emergency? Here are some of the most important survival skills you can teach them. When it comes to basic prepper skills, you can’t get more basic than finding food. This could involve growing vegetables or foraging for natural food in the surroundings. Teach your child about local plants and fruits that can be harvested, and make a game out of it on family walks. Finding water is the most important thing of all because you won’t last long without a clean water supply. Teach your child how to find a water source as well as how to filter water and boil it to make it safe to drink. Hunting may be more suitable for older children, but it could really help in a survival situation. Teach your child how to shoot animals, not just with a firearm, but also with a sling shot. You could also teach them how to set traps and snares, and make sure they understand how to stay safe. Fishing is perhaps more suited to younger children, so teach your child the basic skills so they can use the skill in any situation. Once you have found food, you need to prepare it properly. This often means cooking it, so teach your child how to make fires. Also teach them how to cook on an open fire without the cooking implements they may be used to. This is fun to do when camping. Basic first aid is useful in many situations, not just for survival. Go on a course together and ensure your child learns the basics. Even if you are never in a survival situation, such skills can come in very handy in daily life, such as knowing how to clean a wound and how to do CPR. Teach your child how to build a shelter in different environments as well as how to stay warm and dry. Again, this can be part of a fun weekend camping trip. As your child gets older, consider a self-defense class and ensure they learn the basic skills to protect themselves. It’s not just the elements that can be dangerous in a survival situation: Other people can also pose a threat. 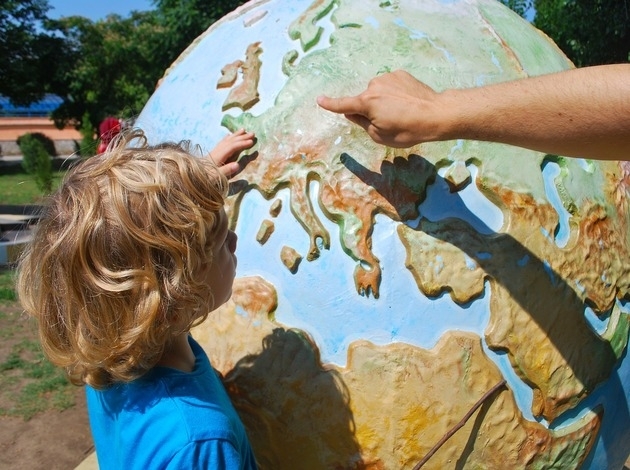 Teach your child how to use a map and a compass, and forget about GPS. Get them their own map to your area and a good compass so they can use it if needed. You may also want to teach them skills like using the stars to help direct them. These are some of the most essential skills that you can teach your child to prepare for a survival situation. Natural disasters and other events can happen, and your chances of survival are greatly increased if you have the necessary knowledge and skills to get you through it. Consider going on a survival training course to learn all of the basics, and encourage your child to work on their survival skills so they are always prepared for the worst.